Bix Beiderbecke was one of the greatest jazz musicians of the 1920s. His colorful life, quick rise and fall, and eventual status as a martyr made him a legend even before he died, and he has long stood as proof that not all the innovators in jazz history were black. Possessor of a beautiful, distinctive tone and a strikingly original improvising style, Beiderbecke's only competitor among cornetists in the '20s was Louis Armstrong but (due to their different sounds and styles) one really could not compare them. Beiderbecke was a bit of a child prodigy, picking out tunes on the piano when he was three. While he had conventional training on the piano, he taught himself the cornet. Influenced by the original Dixieland Jazz Band, Beiderbecke craved the freedom of jazz but his straight-laced parents felt he was being frivolous. 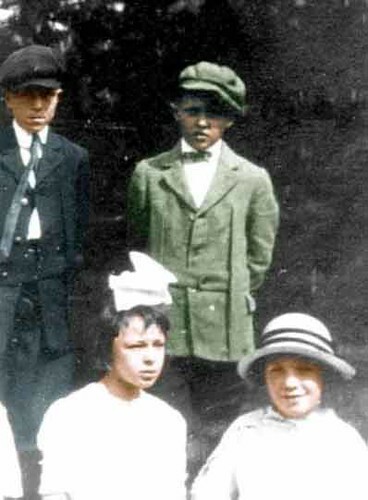 He was sent to Lake Forest Military Academy in 1921 but, by coincidence, it was located fairly close to Chicago, the center of jazz at the time. Beiderbecke was eventually expelled he missed so many classes. After a brief period at home he became a full-time musician. In 1923, Beiderbecke became the star cornetist of the Wolverines and a year later this spirited group made some classic recordings. In late 1924, Beiderbecke left the Wolverines to join Jean Goldkette's orchestra but his inability to read music resulted in him losing the job. In 1925, he spent time in Chicago and worked on his reading abilities. The following year he spent time with Frankie Trumbauer's orchestra in St. Louis. Although already an alcoholic, 1927 would be Beiderbecke's greatest year. 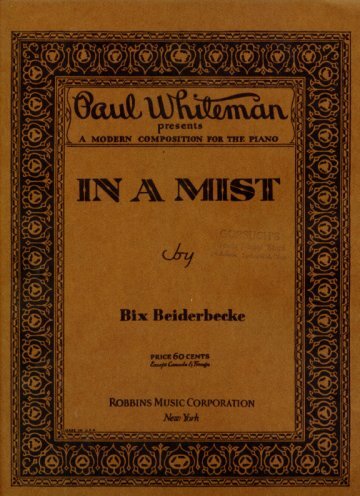 He worked with Jean Goldkette's orchestra (most of their records are unfortunately quite commercial), recorded his piano masterpiece "In a Mist" (one of his four Debussy-inspired originals), cut many classic sides with a small group headed by Trumbauer (including his greatest solos: "Singin' the Blues," "I'm Comin' Virginia," and "Way Down Yonder in New Orleans"), and then signed up with Paul Whiteman's huge and prosperous orchestra. Although revisionist historians would later claim that Whiteman's wide mixture of repertoire (much of it outside of jazz) drove Beiderbecke to drink, he actually enjoyed the prestige of being with the most popular band of the decade. 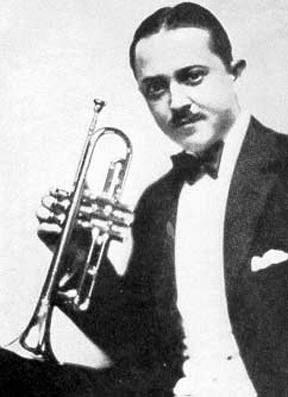 Beiderbecke's favorite personal solo was his written-out part on George Gershwin's "Concerto in F."
With Whiteman, Beiderbecke's solos tended to be short moments of magic, sometimes in odd settings; his brilliant chorus on "Sweet Sue" is a perfect example. He was productive throughout 1928, but by the following year his drinking really began to catch up with him. Beiderbecke had a breakdown, made a comeback, and then in September 1929 was reluctantly sent back to Davenport to recover. Unfortunately, Beiderbecke made a few sad records in 1930 before his death at age 28. The bad liquor of the Prohibition era did him in. For the full story, Bix: Man & Legend is a remarkably detailed book. Beiderbecke's recordings (even the obscure ones) are continually in print, for his followers believe that every note he played was special. Leon Bismark "Bix" Beiderbecke (March 10, 1903 - August 6, 1931) was a notable jazz cornet player, as well as a very talented classical and jazz pianist. A comprehensive profile of Bix Beiderbecke including weblinks and further reading. I've heard a lot of cats try to play like Bix, but ain't nobody play like him yet. Finally Beiderbecke took out a silver cornet. He put it to his lips and blew a phrase. The sound came out like a girl saying 'yes'. Louis Armstrong once remarked that he never played the tune "Singin' the Blues" because he thought Beiderbecke's classic recording of the song should not be touched.